Start with the noun character ‘a person in a novel, play, or movie’ (NOAD), extended to something like ‘recognizable individual’ — not necessarily a person, but with some of the characteristics of persons (emotions, personalities, relationships to others, intentions, etc. ), created by someone, or “animated” by them, via the written word, the spoken word, actions, or images — or, usually, several of these at once. and, especially in Japan, some are created directly as embodiments of various qualities, for use in stickers, on merchandise, etc. and then diffuse to other media. (#2) Hometown heroes – Japan’s most popular masots pose together on stage. 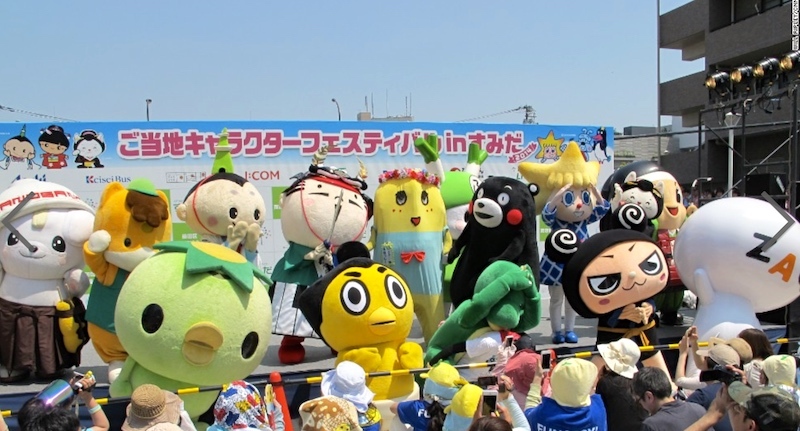 Each mascot represents a city or prefecture and their appearance is linked to their place of origin. Funassyi gets his [name] and looks from “nashi” or pear, a product his city of Funyabashi is famous for. He may be diminutive in stature as he appears under the shadow of the Tokyo Skytree, Japan’s tallest structure at 634 meters. But as he twists and screams “I’m so pretty!” onstage, it becomes clear that his star is rising. 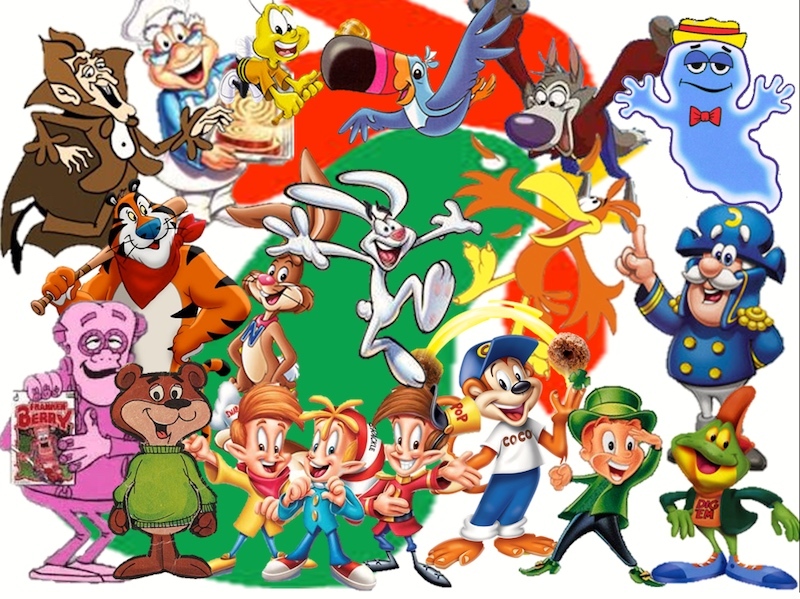 This entry was posted on June 30, 2018 at 12:54 pm and is filed under Linguistics in the comics, Signs and symbols, Uncategorized. You can follow any responses to this entry through the RSS 2.0 feed. You can leave a response, or trackback from your own site.